The Damsel in this Dress Blog! : Damsel in this Dress SPOTLIGHT Contest! Damsel in this Dress SPOTLIGHT Contest! All right!!! This was a contest suggested to me by Misty H. (were you 'maiden last name' at that time? anyhow..) and it's absolutely brilliant! She told me that it would be cool to do featured "guest spots" on my blog and feature some of our customers/damselites who seriously talk the talk and walk the walk when it comes to our corsets. I loved this idea and took a million years to finally do it, but here I am!!! How this will work is that I am going to have you guys submit "guest blog" spots, along with at least one picture for my blog. It can honestly be about anything (well....anything goes....but if it gets too crazy, like how you sacrifice chipmunks whilst in your corset, I might not end up posting it....then again....if it had interesting pictures.....*cough* No, seriously.) and I WILL say that I'm mostly interested in hearing about places where you wear corsets and things you do while wearing them. We're trying to think outside of the box here, and maybe open up some new avenues for helping women to be bold enough to wear things that make them feel radiant! 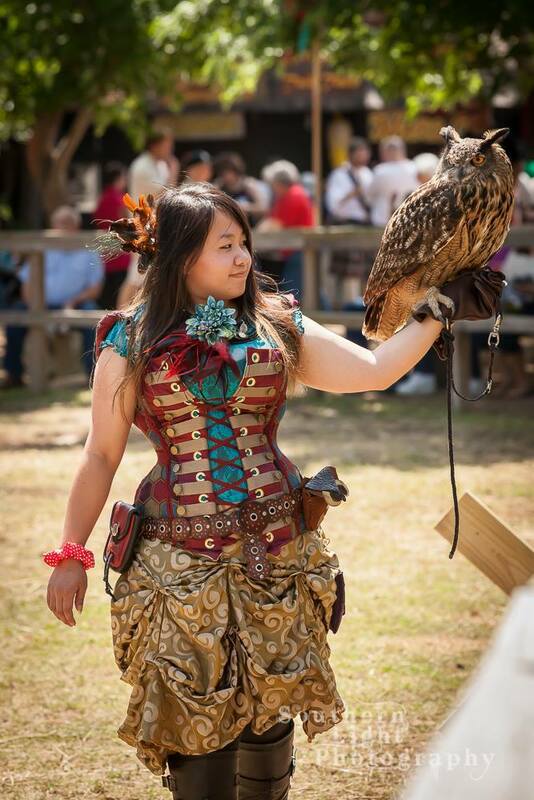 Even if you wrote a really encouraging post about how you talked yourself into wearing a corset to a wedding or something......I'm open to any ideas. However, the contest will end on February 29th (see guys, the year even gave you an extra dang day!!! No excuses! ;). 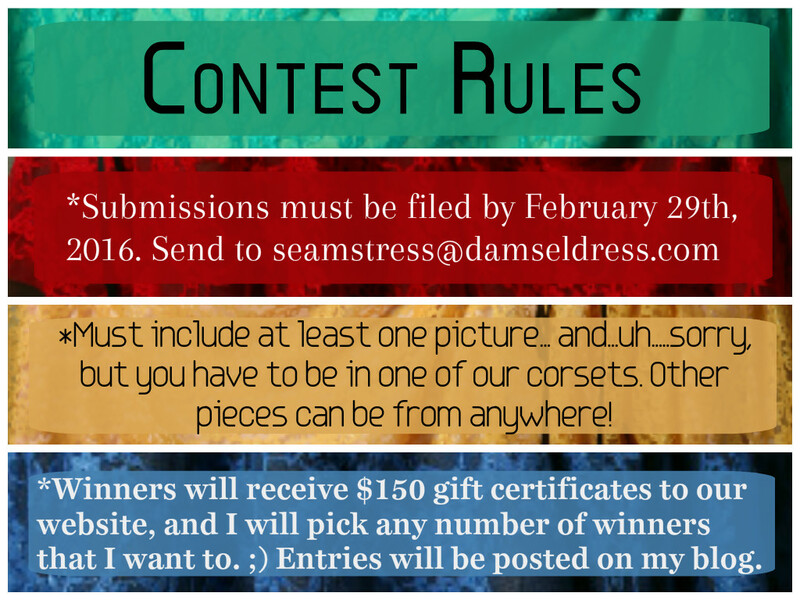 You just need to send any entries into me at seamstress@damseldress.com and we will choose accordingly. The cool thing about this contest is that it's not a contest where thousands of other people on facebook are vying for the prize. It does take some time and thought to sit down and write, but I think it's rewarding and a wonderful thing to keep for posterity! I will announce the winners on March 1st. Good luck! Remember, I really like creativity!